After 37 years, Israel closed a circle last week when the body of one of its longtime MIAs, Zecharia Baumel, Hy”d, was located, positively identified and brought to kever Yisrael in Yerushalayim, the city where he had lived. It was the conclusion of a joint operation between Israel, the Russian army and the Syrians. Now they are continuing to search for other MIAs. Hamodia’s military correspondent, who has covered the sad saga for the past 37 years both as a reporter and as a neighbor and friend of the Baumel family, presents the remarkable story of a father and son from Boro Park who moved to Eretz Yisrael and how the son ended up in the Sultan Yakoub battle. This is the painful story of the long-awaited return of the martyr, Zecharia, still clad in the tzitzis he wore into battle, and the role of that garment in his positive identification. Their hearts were pounding the whole way. 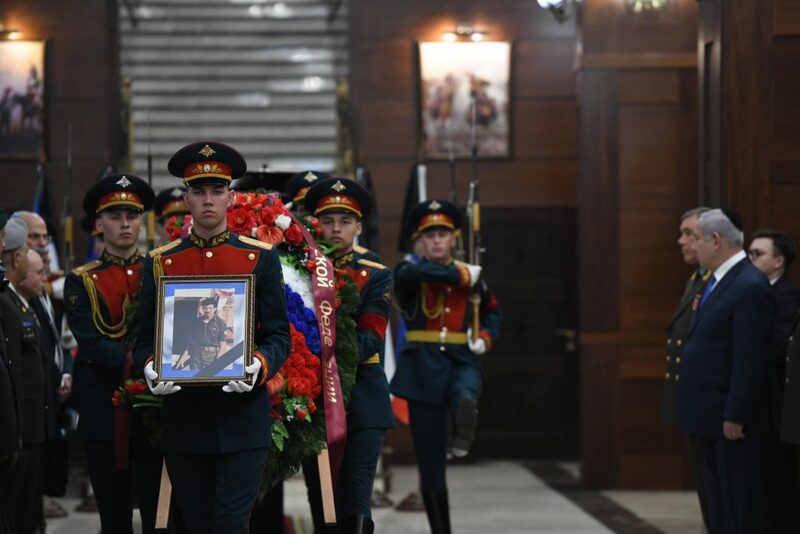 The small group of members of the Israeli Military Rabbinate, who flew a few weeks ago to Russia, had studied every detail about the missing Israeli soldiers. 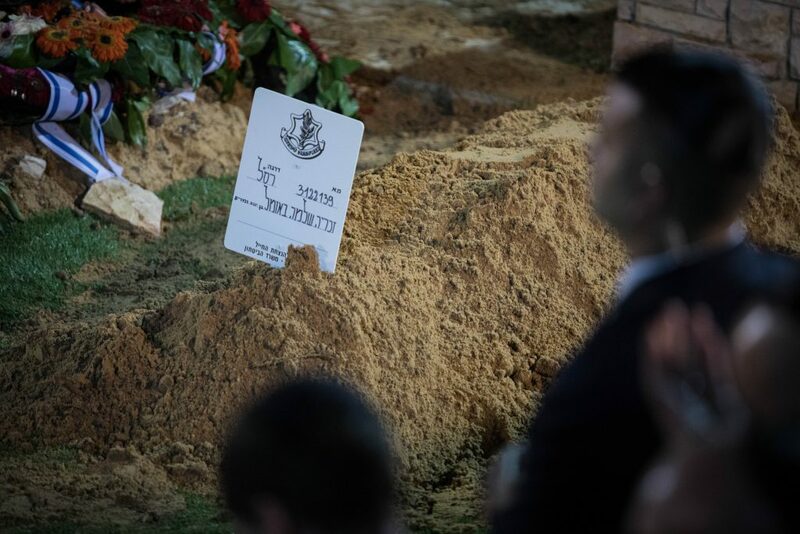 They knew that the Russians, aided by the Syrians, had found and exhumed a group of bodies, and now, it was up to them to try and identify which of them, if any, belonged to missing IDF soldiers from past battles. Their work was relatively quick. When they opened the first set of remains, they were stunned. The body was dressed in the overalls of an Israeli tank operator, and had Hebrew letters on it. But what drew their attention and immediately revealed the secret were the soldier’s tzitzis, which were intact. In the pocket of the overalls were documents indicating that this was indeed Zecharia Baumel, Hy”d, one of the men they were looking for. The emotions were intense. However, so was the disappointment. The other bodies that the Russians had managed to take out of Syria were those of Palestinian terrorists that had fought in battles against Israel. None was that of an Israeli soldier. 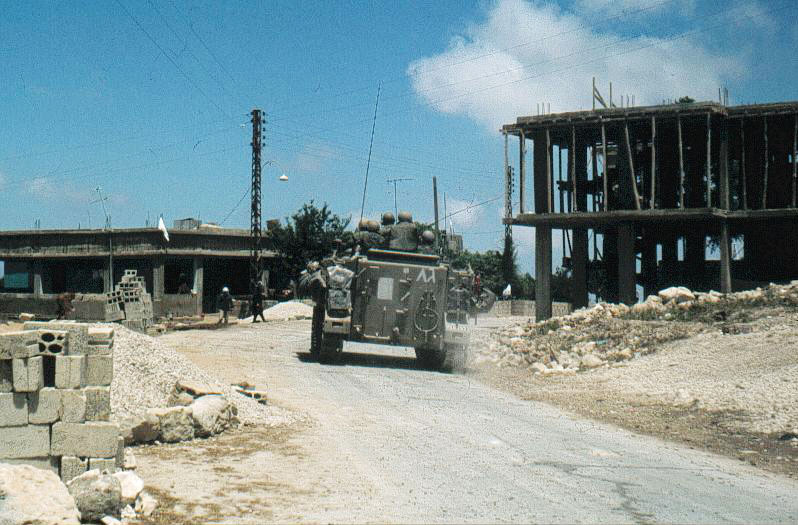 It now appears that Sergeant Zecharia Baumel fell immediately during the battle in Sultan Yakoub, Lebanon, 37 years ago. 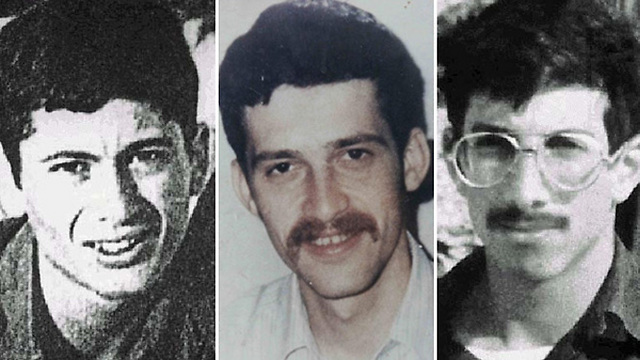 Throughout the decades since, all the intelligence and defense echelons in Israel made efforts to find the three missing soldiers. Only during the last two years did information begin to accrue, making it possible to find the remains hidden by their abductors. After extensive deliberation, the IDF allowed it to be publicized that Baumel’s body had been found in Syria, and that those who had helped had been the Russian Army and Syrian soldiers. Who, what, where — that information was left for Russian spokespeople to reveal. Indeed, sources in the Russian military leaked this week that the Russian forces came last month to the Al Yarmouk refugee camp in southern Damascus and asked all the armed men to leave — including those supporting the Syrian army. The Russians entered the camp’s cemetery with sophisticated equipment, and spent five days there, departing with several sacks. Last week, the Russians gave Baumel’s overalls and shoes to Prime Minister Binyamin Netanyahu, who was visiting President Vladimir Putin at the Kremlin. The operation did not require the physical presence of IDF soldiers in Syrian territory. This final operation was based on intelligence gathered in several previous missions and by the Israeli intelligence services over the years, and given to the Russians. At the beginning of Netanyahu’s meeting with Putin in Moscow last week, he thanked Putin for all of Russia’s help in gaining back the Israeli soldier’s remains. “When I spoke to you two years ago with a request to help us located our MIAs, you agreed immediately and unhesitatingly, and for that, I and the people of Israel thank you,” the prime minister said. “Our people, together with the Syrians, located the missing soldier and will work to find additional MIAs,” Putin said. The story of Zecharia Baumel, Hy”d, is more than the tragic tale of a fighter who went out to battle and did not return. Even more powerful is the story of the soldier’s father, which tells us everything about his son, for so many years. Zecharia’s father, Reb Yona Baumel, z”l — my friend and neighbor — passed away 10 years ago. “I hope,” he would tell everyone he met, “that my son Zecharia will return before I am summoned to the Heavenly Court.” It did not happen, and he departed this world. His son’s fate remained unknown for 10 more years, along with the fates of his fellow Sultan Yakoub MIAs: Yehudah Katz and Tzvi Feldman. Now we know what happened to Baumel. Where are the other two? There is still no answer to that question. Prime Minister Netanyahu has pledged that recovery efforts will continue around the clock. Yona Baumel was 81 when he passed away. His heart had weakened badly the last two years of his life, but in the end, it was not his broken heart that took him, it was a terrible infection that raged throughout his body for two weeks and culminated in organ failure. But Zecharia did not come back — at least not in his father’s lifetime. Were the boys killed? Or were they injured and abducted and living somewhere in hiding, as Baumel and the other parents and relatives believed and continue to believe to this day. Zecharia Baumel — or Zach, as his parents and friends called him — was born and raised in Boro Park, along with his older brother and sister. Until the age of 10, when his parents decided to move to Eretz Yisrael, he learned in Yeshiva Eitz Chaim in Brooklyn. After they moved, he attended Noam in Pardes Chana, and from there went on to Yeshivat Har Etzion in Gush Etzion. 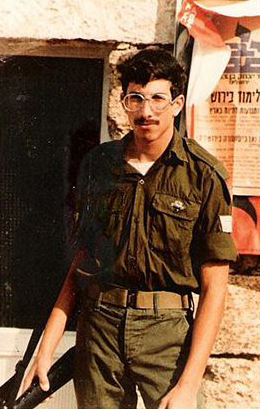 Along with his friends, he joined the hesder military track. He was sent to fight with the armored corps. 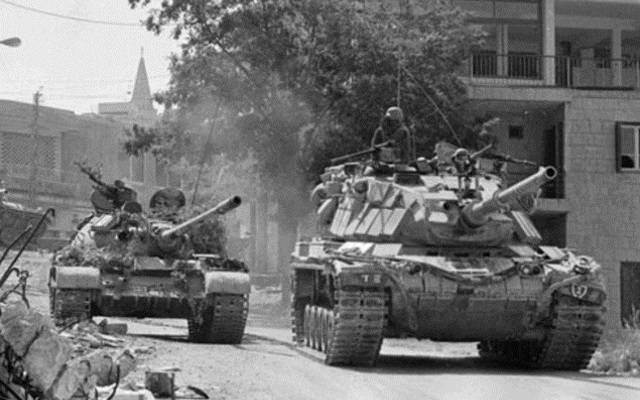 Nearly 37 years have passed since that dreadful night, June 11, 1982, the fifth day of the Lebanon War. That night, a major battle began near the Lebanese village of Sultan Yakoub. It was a difficult battle between the Israeli armored corps and a group of Syrian commandos that attacked it from all sides, in a topographically rough area. The Syrians controlled all the higher ground surrounding Sultan Yakoub, and fired missiles down on the valley from the hilltops all around. They were joined by Palestinian terrorists belonging to Ahmad Jibril’s group. Tank after tank from the Israeli convoy went up in flames. Twenty Israeli soldiers died in this battle and 31 more were injured, many seriously. It was clear to the commanders that they had made a mistake by sending the armored division into what now looked like a terrible trap, but by the time they realized this at headquarters, it was too late. The tank operators were ordered to retreat. Then it was discovered that enemy missile fire had damaged many of the tanks at the front and the back of the convoy, and these tanks prevented the others from advancing or turning around to flee. The few that tried were damaged, and the men inside were killed or injured. 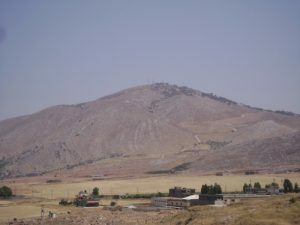 Site of the Battle of Sultan Yakoub, where Zecharia Baumel, Yehuda Katz and Zvi Feldman went missing in the Lebanon War on June 11, 1982. When the battle ended at dawn, it was discovered that two Israeli tanks had “disappeared,” and with them six of the force’s soldiers: Zecharia Baumel, Chezi Shai, Aryeh Lieberman, Zohar Lifschitz, Tzvi Feldman and Yehudah Katz. Three years later, in a prisoner exchange deal with Syrian terrorists, Chezi Shai and Aryeh Lieberman were returned alive. Some time later, the body of their friend Zohar Lipschitz, Hy”d, was returned; he had perished in the battle. That bloody night, Baumel, Feldman and Katz were fighting in the reserve unit of the Israeli armored corps. Chezi Shai, the commander, was the one who got the order to retreat; when he turned around in an effort to carry out that order, his tank was struck by a missile and began to burn. Chezi called to his friends to quickly abandon the tank before it exploded. Indeed, according to the account of the battle that he gave after his return, the entire team in the tank managed to get out. However, this made them sitting ducks for Syrian fire — as the Syrians noticed them climbing out and turned their fire onto them. Several men were struck. Aryeh Lieberman related upon his return that he saw some of the Israeli soldiers harmed by Syrian fire, and he also thought he saw Feldman get hit. But it is hard to confirm his report. Baumel was with them, he related, but when the Syrians and the terrorists got closer, Baumel disappeared; no one saw him after that point, and no real sign of life was ever received. Shai fell into the hands of Ahmed Jibril’s terrorists, and Lieberman was caught and handed over to Syrian captivity. Both of them were returned to Israel after 36 months. But that “ignorance” did not prevent the Syrians from aiding the Russians these past two years when they asked for Syrian help based on solid intelligence they had received from Israel. Since the battle, until two years ago, not much has changed regarding Israel’s knowledge of what happened to the young men. After the Oslo accords were signed, there was a short-lived, dim ray of light, when Palestinian Authority chairman Yasser Arafat presented half of the ID disk of missing soldier Zechariah Baumel. There was hope that this meant the PA leader knew something valuable and wanted something in exchange for it. But nothing happened after that. The IDF investigated the Sultan Yakoub battle several times, with different committees and teams, and the conclusions of all indicated serious flaws in the way the force was sent and operated, and everything that happened after the encounter with the Syrians and the terrorists. None of the investigators were able to figure out how Israeli officers sent a small tank brigade into such a huge trap of two Syrian armored brigades and commando units, how the small Israeli unit maneuvered in this isolated area that was controlled on all sides — including from surrounding hilltops — by enemy forces. Did the IDF not know about the many Syrian forces located at that spot? They knew full well. Aerial photos had been taken an hour before the armored soldiers were given the order to move forward. But today we also know that this information did not reach the force commander. In general, was the battle necessary? Israel already knew that within a few hours, a ceasefire with the Syrians was supposed to take effect. Nevertheless, someone decided to send the Israeli force forward to capture the Damascus-Beirut road, after it was already decided by the higher command that the IDF didn’t even need to reach this road. Even more disquieting: For hours after the battle ended, and when the ceasefire was indeed declared, there were a large number of Israeli forces in the area. Aerial and ground photographs show that the two Israeli tanks were still there. But in some unexplained mistake, the Israelis thought that the tanks were … Syrian, and made no effort to reach them. That is even after they saw the Syrians bringing vehicles and towing the two tanks away from the scene. Were the soldiers inside the tanks? It is not known. But there is no doubt that if the tanks were in IDF hands, it would have been possible to know more about what had happened to the soldiers. This is even more the case if the forces would have moved into the area and immediately begun to search out what had happened to the MIAs from the night before. In the battle area in Lebanon at the time was a young officer named Major Avigdor Klein. He kept all that he saw and heard to himself for many years afterward. Over time he advanced in rank, and only after 25 years and his retirement from the army, and after serving as a chief armored corps officer in the IDF, did Brig.-Gen. Avigdor Klein speak out. Something had been bothering him all along, and by the time he did speak, he said it clearly and sharply. “At the battle of Sultan Yakoub, our weakness was fully exposed in its many facets,” he stated. 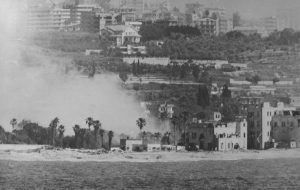 An Israeli operation against a PLO position on the Lebanese coast. Brig.-Gen. Klein blames the IDF, saying that they could have collected much more intelligence on the missing soldiers very close to the time of the actual abduction, but they didn’t do so. “We had many cameras in different directions in that area, both on the ground and in the air. I have no doubt that a more comprehensive analysis, with persistent interrogation of the Syrian POWs and terrorists that were caught in the region, and questioning of the residents living in the area, would have provided answers to many questions that remain unanswered to this day,” Klein said. The former officer revealed that the IDF viewed and documented the towing of the MIAs’ tank and that it was loaded onto a Syrian vehicle. He is convinced that all the information relating to the MIAs and what happened to them was in Damascus, had they only wanted to shed light on it all. 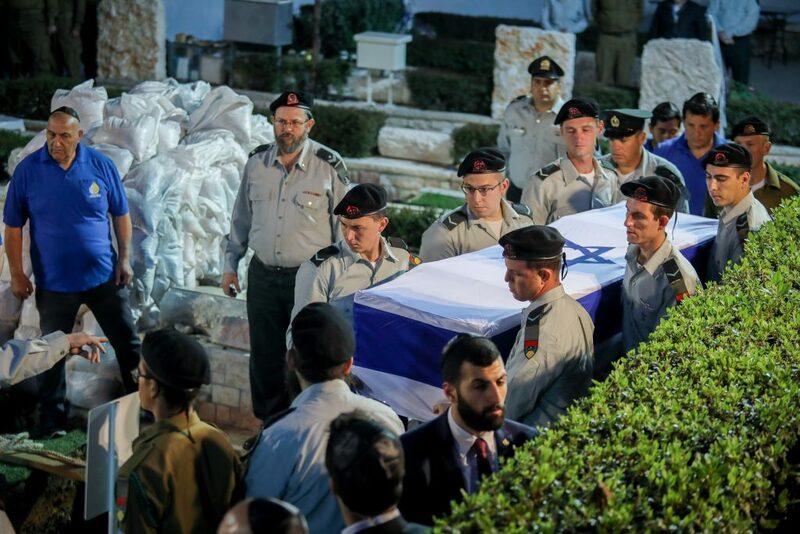 The IDF wanted to declare Katz, Feldman and Baumel as dead — fallen in battle, whose burial places were not known. Yona Baumel and the other families fought valiantly against the IDF decision; they went to great lengths to prevent this from happening. I acceded, and he appreciated that. From time to time, he would update me on what he perceived as “progress in our hopes.” He traveled extensively, searching for clues. Sometimes, it appeared to him that the solution was at hand. And his disappointment was acute and bitter when he learned that he had been deceived and told nonsense. Baumel invested all of his own resources into the battle for his son and his friends. He was helped by certain private people to the extent that they were able, but he felt that he did not receive from the State what they should have invested in the search. He also activated a private network of volunteers who followed every word that was publicized on the matter in the Arab world. I often saw Reb Yona walking the streets of the Katamon neighborhood, filled with hope. But as the years passed, he grew clearly worried — and there was even despair in his eyes. Yona often spoke about the secret he had from his son and his friends, and how sure he was that it was a good clue that would lead to finding the soldiers — alive. But the security entities in Israel, who knew what was behind the story, had checked into it and reached the conclusion that there was nothing new there, and nothing that would lead them to new findings. Zecharia Baumel had a classmate from when he still lived in Brooklyn, one Stuart Ditchek. Ditchek became a pediatrician, and in the course of his work, he was in contact with the Syrians. When he learned that his classmate was missing, he offered to Yona Baumel to visit Syria and try to clarify what happened. His reports from the first trip encouraged Yona very much. But the army rejected it all out of hand. Baumel himself used the fact that he was an American citizen in order to travel to Syria, risking his life in the process. He heard what the Dr. Ditchek had heard from the people there, and was even more encouraged. He made efforts to persuade the IDF and the defense establishment that there was hope in the findings, but they were not convinced — yet again. In closed conversation, Baumel related that according to the information he had received, which he considered reliable, Zecharia “was seen alive in Syria until a few years ago. I know clearly that he lived in Syria long after the war in Lebanon. I also know that he was not healthy there. This is information that came from several sources. If he is still alive there, or dead, I don’t know, but I have no doubt that he was saved during the war, and was transferred to Syria and was there,” Yona Baumel said again and again. Yona Baumel built a lot on the Syrian mediator, Ibrahim Sliman, who negotiated with Israel regarding the missing soldiers. Ibrahim Sliman is a Syrian who lived most of his life in America, but maintained close ties with the government leaders in Damascus and visited Syria often. He was an Alawite, from the samPe sect as former President Hafez al-Assad, and was close to him. At some points, he was in charge of dealing with the families of the Syrian representatives who served as envoys to the United States. At the beginning of 1990, Sliman surprised some of his Israeli acquaintances, including businessman Yaakov Nimrodi, when he told them he had received permission from the higher-ups in Damascus to negotiate over the missing soldiers. They directed him to the Israeli embassy in Washington, where he suggested himself as a mediator between the two sides. Indeed, for about five years, he shuttled between Damascus and Yerushalayim. Sliman was even invited to deliver testimony to the Knesset Foreign Affairs and Defense Committee about his contacts and his assessments, and he sounded optimistic. Israeli intelligence officials met with Sliman and knew him well enough to cast doubt on the true nature of his connections to the Syrian ruling echelons. He primarily lost their trust when, during one of the conversations, he said that he was basing his information on a Syrian intelligence officer named Adnan Tira, who was known by Israel as unreliable, to put it mildly. The Israeli intelligence officials spoke to Yona Baumel and gently tried to help him realize that he was building castles in the air. Baumel had a hard time accepting what they said, but he agreed with them that all that he had were verbal sources, not tangible proof with pictures, tapes or other substantial evidence. In Yona Baumel’s travels to search out any good connection that someone had with the Syrians, he reached a certain Middle Eastern country, where Israelis do not travel, and met a Maronic cleric who was known for his close ties to the Syrians. Baumel spoke to the man’s conscience, and he agreed to travel to Damascus to probe the matter. When he returned, Baumel and his wife met the man, and he presented them with certain questions about their son that only Yona and his wife could possibly know about. “I have information that even the Israeli defense establishment doesn’t have,” Baumel would often say. It was information that encouraged him, personally, but obviously, did not lead to any breakthrough. He went without knowing that his beloved son would only be found a decade later, and that Zecharia was no longer alive.